The event runs from Monday to Thursday 9.30am-6pm with an evening celebration event on the Thursday evening included. Bookings for 2018 are now closed! If you are in school years 7-11 we would love you to sign up and come along to the event. Get ready for 4 days of fun, volunteering, faith stretching, and meeting new friends! £55 per young person. The cost of the event includes 4 days of activities, 2 meals a day, branded t shirt and hoody, a water bottle and some other goodies. The event runs from Monday to Thursday 9.30am-6pm with an evening celebration event on the Thursday evening included (usually 6-9pm). The cost of each place is subsidised already by donations but if you cannot pay the full price, some churches offer to subsidise young people further – please speak to your youth worker or church leader for more info. The booking process uses PayPal, which is a trusted online payment system. If you are 18 or over (university age or beyond) and have experience or a passion for leading or encouraging young people to grow in faith we would love you to sign up to be an adult leader. Get ready for 4 days of fun, faithful serving, role modelling, faith stretching, meeting new friends and encouraging young people! Recommended donation £20 each which includes 4 days of activities, 2 meals a day, branded t shirt and hoody, a reusable water bottle and some other goodies. There are different roles for adults including leading or co-leading a team of young people, hosting a project, pastoral care team, worship, photos/video/production, catering, admin, mini bus driving and other venue support roles. If you are not sure which role is best for you, please get in touch we’d love to meet you for coffee and chat about the possibilities. All adult leaders are also expected to attend an adult leader equipping session to help give you all the tools needed to be an adult leader at the event and enable you to know what is expected of you and how you can use and grow your skills at Hope MK. We also ask adult leaders to attend a vital info briefing for adults and young leaders (and if possible, help set up too) on the Sunday afternoon before the event. The cost of each place is subsidised already by donations – please speak to your church leader if you would struggle to pay the cost as they may be willing to subsidise your place further. The booking process uses PayPal, which is a trusted online payment system. Before you start the form, you’ll need permission for us to get a reference from your church leader and your DBS number if you have one. Bookings for adults close on Wed 17 Oct - don’t miss out! Each year we have around 16 projects which are run and organised by churches, local organisations, councils, schools and individuals. Project hosts usually organise 4 days of activities in the afternoons each day of the event, these range from social action in the community; (painting, gardening, litter picking, visual improvements) or interacting with the public (messy church, holiday clubs, drop and play sports, family drop in sessions or giving away free food) or evangelism (praying for people on the street, engaging in conversation, prophecy etc). 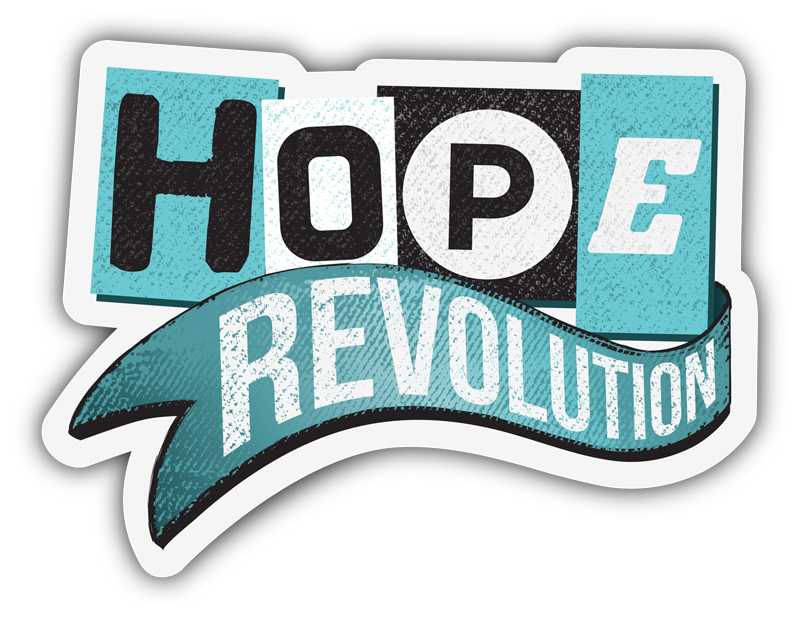 The aim of projects is to provide a mission opportunity for your church/organisation in your community and for the Hope MK team to have the chance to serve and spread hope, love and joy through their actions. 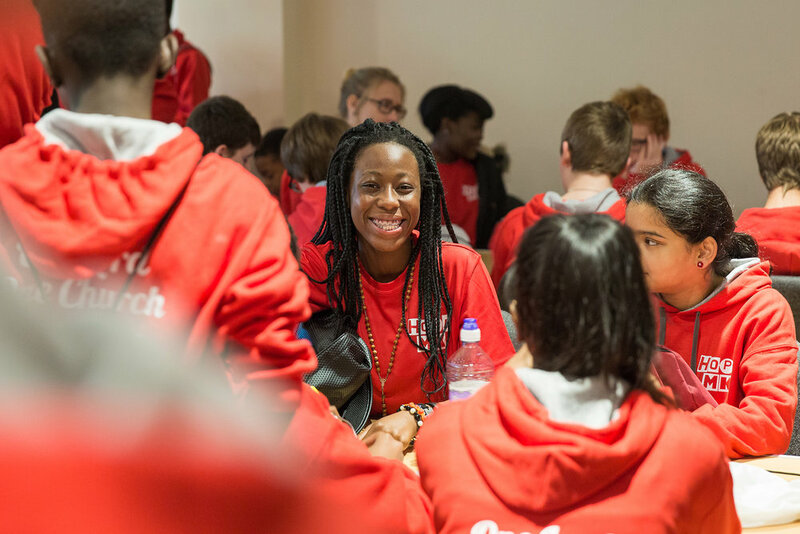 The best projects are those that are planned early that help meet the needs of the specific community and that have varied tasks for the young people to get stuck into. Teams attend the same project each day, so you’ll really get to know them. In some cases we can accommodate projects less than 4 days long, especially if we can pair up multiple 1 or 2 day projects, so if hosting for 4 days seems like too much but you'd be keen to host a project for 1 or 2 days please do get in touch anyway. On the whole each project is funded by the church/organisation hosting it and is covered by their liability insurance. However, in some circumstances we are able to cover some costs or provide equipment. Download the pdf project planning pack for a rough guide, and more info about hosting a project. All projects must complete a project planning form and risk assessment which is at the end of the project planning pack. Deadline for those two forms is September 10th 2018. We believe prayer makes a difference because God hears us and gives good gifts to those who follow Him. If you are a believer we’d love you to pray for us, the people, the preparations and the event. As the event gets nearer there will be a list here of things we’d love prayer for. Hope Mk relies on donations from churches, local grants and individuals to help subsidise the cost of the event to young people and adult volunteers. If you are able to make a donation towards the cost of the event we have given an idea of how much specific items cost below. - Online (via a stewardship account or card payment) through trusted site give.net who claim gift aid back on our behalf. - Cheque made payable to ‘Bridgebuilder Trust’ who manage our finances, ensure any cheques have 'Hope Mk' clearly marked on the back so that they are allocated to the correct fund. - BACS payment/bank transfer to our Bridgebuilder bank account, with a reference of 'Hope MK'. Hope MK is a designated account within the accounts of MK Bridgebuilder Trust and any donations need to be clearly marked so that they can be allocated correctly to Hope MK. If your donations are eligible for claim gift aid and have not yet completed a gift aid declaration, please ask for one so that we can claim back an additional 25p from the government in every £1 you've given.